Owen and Annette Booth - Who are Whitestone Boers? Home » Owen and Annette Booth – Who are Whitestone Boers? Owen and Annette Booth – Who are Whitestone Boers? Owen and Annette Booth farm near Milton, South Otago, with an average yearly rainfall of 800mm. Their Whitestone Boer Goat Stud was established in 2005 with the purchase of full blood does from Tony Grayling. These were Landcorp and Sunnypark bloodlines. With the input of Magic, Magnum, Farmworld, Maritz and Saxon Downs genetics we made a huge improvement to their stock, producing does and bucks that were performing in the commercial environment and the Show Ring, but Owen felt they could do better. In 2011 Owen visited Paul and Jan Ormsby of Mugambi Boer Goat stud at Forbes NSW Australia. He liked the Mugambi phenotype, long broad rump, strong bone, heavy muscling with structural soundness. Paul and Jan have been very successful in the Show Ring, this has been proven by the number of National Champion ribbons they have won attended the 2013 Sydney Royal National Boer Goat Show where their 10 month old buck won Supreme Boer Goat and they were the most successful exhibitor of the Show, approximately 300 goats exhibited. 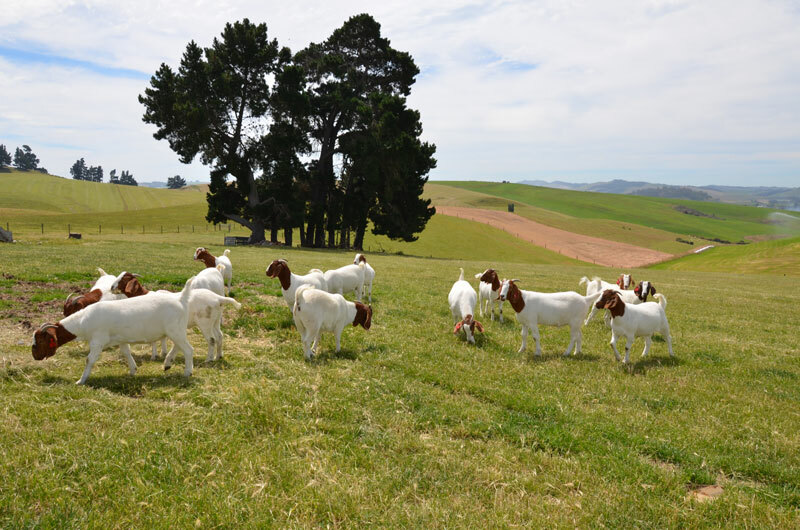 Owen is an executive member of New Zealand Boer Goat Breeders Assn and actively promotes the industry.